With the assistance of Business Oregon, U.S. Commercial Service, and EXIM Bank, Plasti-Fab increased its exports by 340 percent in four years from approximately $100,000 in sales to more than $1.5 million. In addition, the company has been able to grow its workforce from 41 to 55 between 2009 and 2013 with more hiring expected. Plasti-Fab is a global leader in engineered composite Fiberglass Reinforced Plastic (FRP) fluid control equipment for industry and infrastructure. 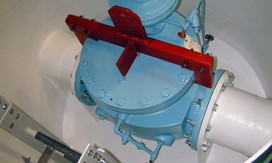 For many decades Plasti-Fab has manufactured corrosion resistant equipment for water and wastewater treatment and control. It is now expanding into new areas such as structural composite manufacturing for industry applications and new global markets. The company's growth started in late 2008 when Business Oregon and a U.S. Export-Import Bank's small business representative made a joint call on Plasti-Fab. Shortly after the meeting, the company signed up with the Bank for its small business export credit insurance policy. This support helped this manufacturer secure foreign transactions/orders valued at more than $175,000. In addition to the critical export financing the company accessed with the help of the U.S. Export-Import Bank, Plasti-Fab began working with the U.S. Commercial Service, which through use of their Gold Key matchmaking service in Abu Dhabi, Bangkok and Gothenburg helped it form key relationships with overseas distribution networks. As a result, Plasti-Fab has built strong relationships with exclusive representation in several key global markets. As of July 2014, EXIM Bank has supported $966,000 in exports.